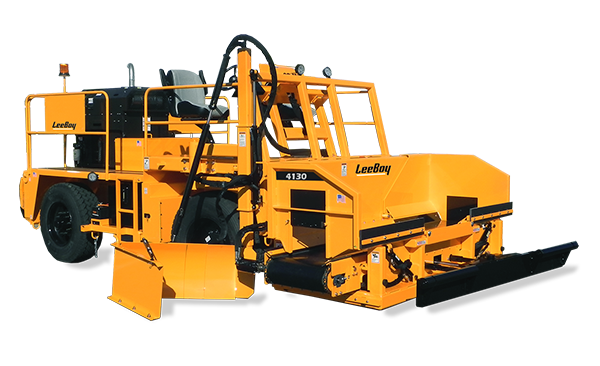 The 4130 road widener is a versatile machine that meets your road widening needs. 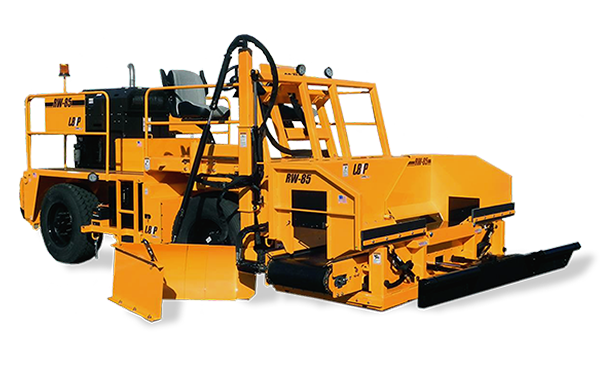 The narrow width design allows for shipping without a permit while shiftable conveyor and foldable hopper wings allow precise placement of material to either side of the machine. Operator console easily shifts from side-to-side and allows a clear view into the front hopper and of the material ﬂow to the strike-off. A tilting front hopper improves trailer load angle to 14.5⁰. Extendable push rollers insure a variety of trucks can be used to feed the hopper.